This is the short break before it all explodes folks. We are just weeks away from the explosion of Android tablets on the market as well as the Blackberry Playbook and whatever new WebOS tablet HP has in store. The general consensus is that the iPad will of course sell well, however the Android tablet market as well as the Playbook and WebOS tablets will eat into the iOS tablet market. Essentially this would put Android on top much like it has already done in the smartphone market due to sheer number of manufacturers producing tablets. And though I am not an analyst of any kind, I want to make a prediction. 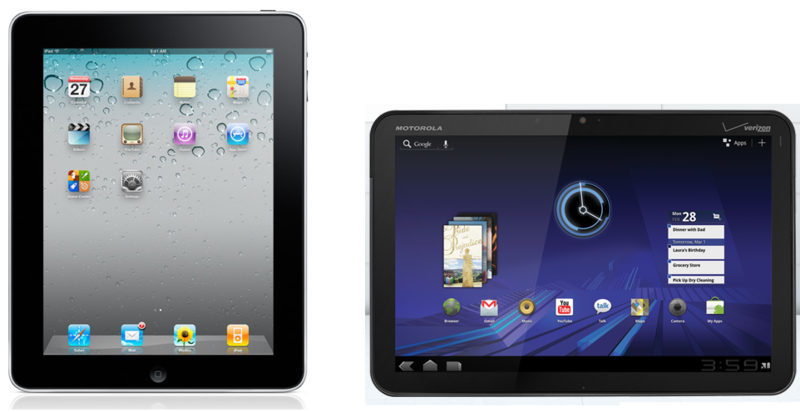 My prediction is that iOS tablets (iPad 1 and iPad 2) will remain the best-selling tablets, at least through 2011. Here is why. 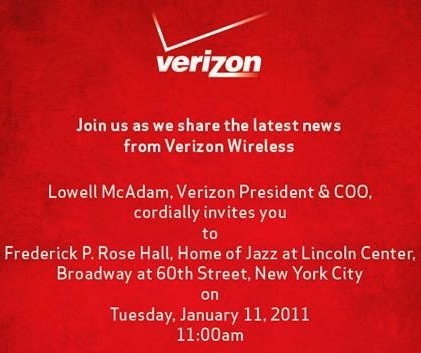 Verizon holding a media event on Tuesday, Verizon iPhone or something else? Verizon just made a huge showing at CES, but that doesn’t seem to be enough. Verizon has just sent out invitations to a press event they are holding this Tuesday. So what is all the hoopla about? Well if Verizon had any other phone announcements besides the iPhone, wouldn’t it have been made at their huge CES keynote? It makes perfect sense that Verizon would want to announce the iPhone separate from the rest of CES since Apple doesn’t ever make an appearance at CES. The weird thing is that usually when there is an announcement about an Apple product that has this much media attention and hype, it is usually made by Apple themselves. So if this isn’t the Verizon iPhone what else could it be? It could be that long rumored HTC Merge, it could also be (yes this is a dreamland I am in) a HTC tablet announcement. Okay who knows, we’ll wait with you and find out on Tuesday what Verizon is up to. 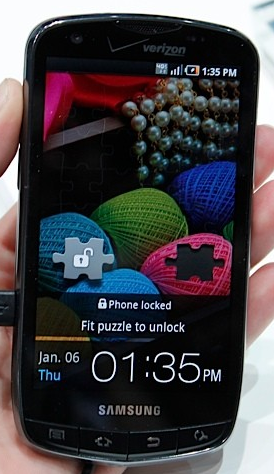 Yesterday AT&T announced the super awesome Super AMOLED Plus Infuse. Though the phone is exclusive to AT&T, Samsung didn’t leave Verizon out. Today at Verizon’s event we saw the announcement of the Samsung 4G LTE phone. This is what they are calling it for now, however we assume it will probably have a name closer to launch. 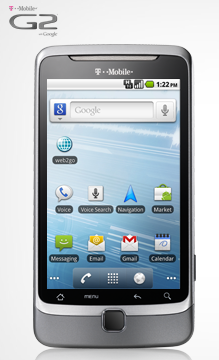 This phone is NOT rocking the 1.2ghz humming bird, and it doesn’t have a 4.5″ screen, but it’s still no slouch. 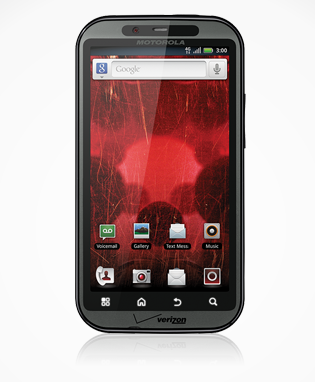 In fact, this phone makes the Samsung Fascinate which is already on Verizon look pretty old school. So here is what’s new. Today was Verizon’s turn to introduce all of the goodies coming out on its own network. One of those goodies was the new HTC Thunderbolt. 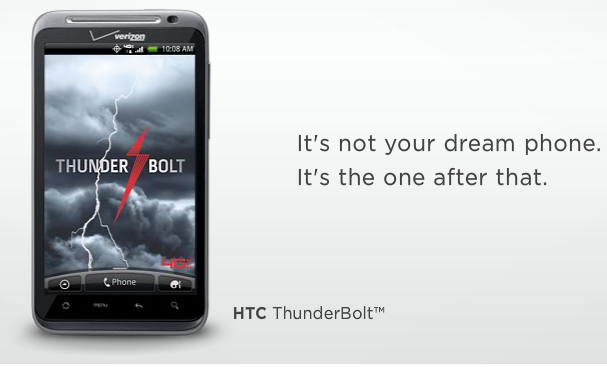 The Thunderbolt resembles the HTC EVO 4G in a lot of ways. The Thunderbolt is using Verizon’s brand new LTE network and is sporting one of those magic front facing cameras. With the new Skype video chat being bundled in, this device will be hard to pass up. Check out the full spec list after the break. its money. Let’s go through the specs shall. So far today has been AT&T’s big day. They have already announced the worlds thinnest smartphone, the worlds most powerful, and now arguably one of the worlds most talked about. 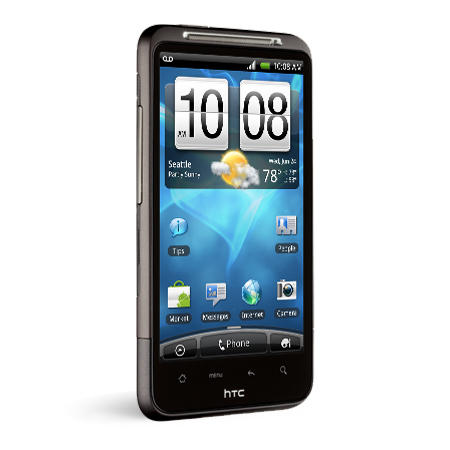 The HTC Inspire is obviously a rendition of the EVO 4G and the Desire HD. 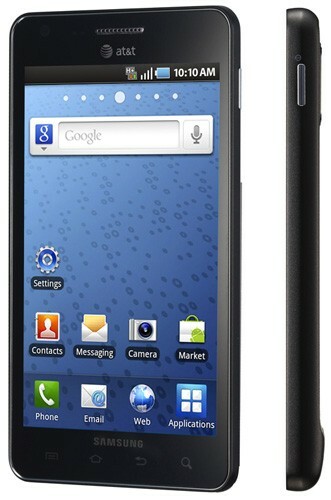 It is the Snapdragon HTC Sense 4.3″ phone we have all come to love. It is finally hitting AT&T! For those of you stuck on AT&T who have been dying for a serious iPhone competitor in the form of Sense UI and the latest version of Android, wait no more. The Inspire will launch with Android 2.2, but HTC has actually been pretty good about upgrading their high-end Sense UI phones, so I am willing to bet we will see Android 2.3 on this shortly after we see it hit the Nexus One. We basically know everything about this phone, it is similar to the EVO and Desire HD. So lets jump right into the specs shall we? I feel like I am in dreamland when I typed out that headline. It has been just over 7 months since the merge between Palm and HP. We knew they would be working on something, we just didn’t know when. 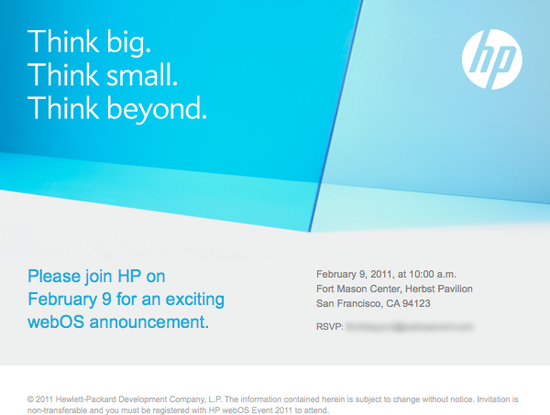 It seems as though February 9th is when they feel comfortable announcing everything they have to announce. That is fine with us, I was expecting them to wait even longer just because the time of the merge to the time of having a new product could take forever. They are ready though and it seems as though they are going to have more than just a new phone announcement. Their teaser slogan is ‘Think big, Think Small, and Think beyond’. I don’t know about you, but that sounds like a Tablet, a Phone, and whatever else HP can throw WebOS on. We don’t know much, but we are very excited to see what comes to fruition. With the recent announcement of Android 3.0, soon an iPad 2 with iOS 5, and the new Blackberry Playbook, HP is going to have a tough road ahead. CES: AT&T announces the Motorola Atrix, Tegra 2, 1GB of RAM, and sadly still runs Motoblur..
AT&T is out in full force today with their phone announcements. 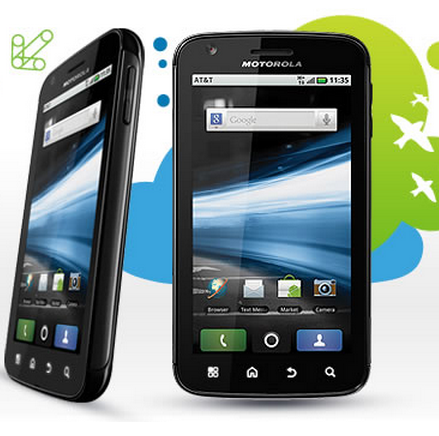 Next up is the Motorola Atrix. This phone is being dubbed ‘the worlds most powerful smartphone’. You know as well as I do that when a carrier or manufacturer makes a claim like that, you want to call them out. However, in this case AT&T is surprisingly spot on. The list of specs on this new Motorola phone are pretty mind-blowing. Here is the run down. Would you look at that? It finally happened. AT&T is getting serious about Android. It only took about 2 and 1/2 years, but it happened. Well, at least from my point of view, all can be forgiven. AT&T just announced the new super beast phone called the Samsung Infuse. The Samsung Infuse is, at least at the moment, the highest of high-end phones. It makes all other Samsung Galaxy S devices look pretty old (especially since they are all still stuck on Android 2.1 here in the United States). Here is a run down of what this new phone is packing.